If you’ve been watching your inboxes, then you know Chris and Garry have been locked away in the studio working hard on a brand new program called the Listing Expert Agent Program (LEAP) & certification. And by the way — Your input has been extremely helpful! Big thanks to everyone that chimed in on the logo and what you would like to see in the course! 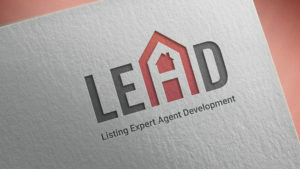 After we started talking about LEAP, we received lots of questions and comments from you asking for more info, like Why should I become a listing expert? What’s in the new program? When will it become available? So this week, we’re going to provide you with answers to all of those questions and more, starting with the benefits of becoming a listing expert. For those of you who may not know, Garry Creath built his very successful real estate practice on listing expertise. At the height of his career –when he focused on selling real estate full-time–Garry went on an average of six listing appointments per week while carrying 50+ listings at a time. That amount of opportunity comes with tremendous benefits, all thanks to being a listing expert. First, what exactly is market share? Look back at the last 12 months: how many homes did you sell in a specific market area, market niche, or target market (such as first time home buyers, move-up buyers, etc.)? Now, what percentage is that of the total homes sold in that market? That’s market share. Growing your market share will result in an overall boom for your business. The more market share you have, the more identity you have within that market. People in that market will see you and your brand, building trust and recognition. And the more people trust you, the more business you can get. That’s why the first portion of LEAP is all about growing your market share by leveraging your identity as a listing expert agent. Being recognized as THE agent for a specific market creates momentum and helps reduce the struggle for the next deal, and we’re going to show you how to do just that! As your market share and identity as a listing expert agent grow, a beautiful thing happens: you start creating excess opportunity. As you start getting listings, those listings spin-off even more listings and buyer opportunities. As your pipeline starts piling up, you start to have excess opportunity. And you get to choose what to do with all that extra opportunity! You can refer it, hire agents, or close it yourself. What’s more, When you have excess opportunity, you don’t feel like you have to take every single deal. You can be selective with who you work with and where you work. You can target specific price points or areas close to where you live. Reaching this point really creates a sense of security and freedom that can’t be beat. You may be thinking, How the heck do you get more time when you’re going on 6x listing appts a week and holding 50-60 listings in inventory? With systems and processes! Technology has made it possible to delegate and simplify so much of the process of selling a home. From marketing the listing to scheduling communications with sellers, you can put processes in place that dramatically reduce the amount of time you spend per transaction. Stay tuned this week for more insight into LEAP as well as tips and training from the program! We have a TON to share–You don’t want to miss it! I am new at this as well as technology. I would not only learn how to use marketing media but also know how to set up or install this social media technology to effectively tap into prospective sellers, buyers, and property management opportunities.